Technically, you can burn a piece of wood minutes after you cut it, but you'll have challenges getting the fire to start and stay lit if the wood is green. You should allow wood to sit and dry for a period of time after cutting it to give you the best results when building a fire. Dead wood, on the other hand, doesn't need to sit and you can burn it soon after cutting. Wood should sit for six months prior to being burned. If a tree is alive and healthy, it's considered "green wood." This term is based around the greenish-yellow hue of the wood itself. According to the Chimney Safety Institute of America, fresh green wood may be composed of roughly 45 percent water content, which makes burning it difficult or impossible. After cutting green wood, allow it to sit outdoors for six to 12 months to allow it to properly "season," or dry. Burning the wood after this period will yield the best results. When you cut down a dead tree, or cut dead branches off a living tree, you can burn the wood instantly. It's important to check the color of the wood itself once you cut through it. If it's greenish or yellowish, it needs to season. If it's gray or dark brown, it's likely dead or rotting and suitable for burning. To properly season your wood, stack it outdoors or under a shelter on wooden skids or another platform that keeps it off the ground. 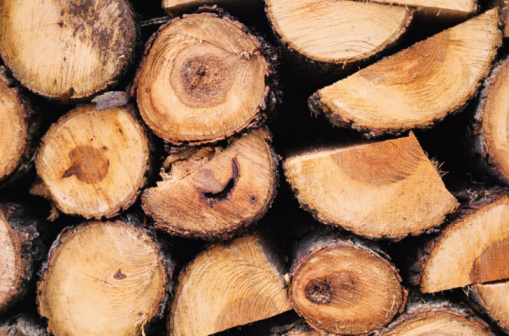 When stacking pieces, place the bark side down so that it doesn't protect the freshly cut wood from the elements. Though you can also store cut wood in your garage, it isn't wise to do so right away as the wood may contain termites or other insects that could damage your garage. 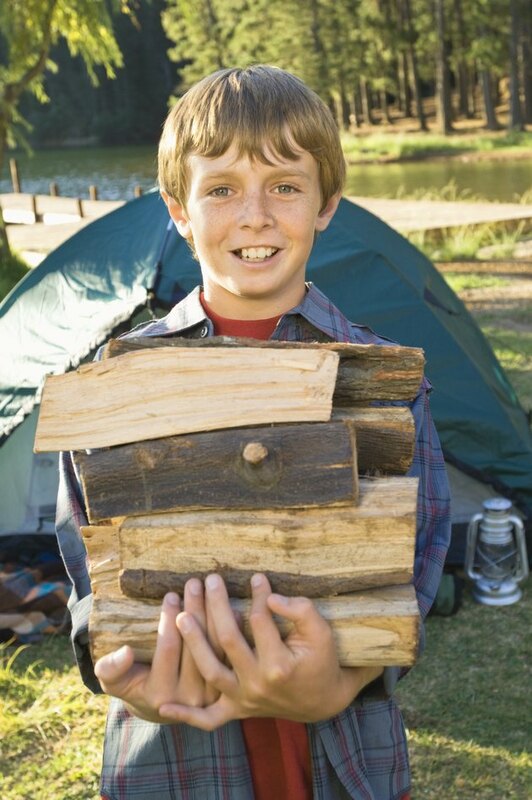 When you buy cut firewood for burning at home or in a camp fire, check it carefully to determine it no longer appears green. Ask the vendor how long the wood has been seasoned and only make the purchase if the wood has been seasoned long enough and passes your visual inspection.